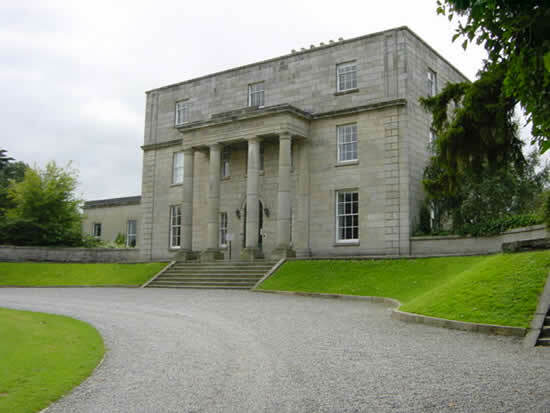 Chrístõ landed the time and space travel capsule in the cúl nut copse beside the formal garden of Mount Lœng House. He could have got closer, but this was a difficult moment for him. He wasn’t sure what to expect. He needed the time it took to cross the garden and approach the house to prepare himself. He turned and looked at the dull copper exterior of the capsule’s default shape and watched as it dematerialised again. He had set it on a new course, on auto-pilot. He wouldn’t be travelling in it again, anyway. And he was heartily glad of that. It was very early in the morning, only just past dawn. The house was in shadow and he couldn’t see until he was closer that the windows were all shuttered. The house had been closed up properly, as if the family were going away for the season. He was slightly reassured. He had expected it to be vandalised and ruined. He had half expected it to be bombed and destroyed. That it stood at all was something. He looked at the wide steps that led up to the great front door, the entrance he, as the heir of the House of Lœngbærrow had always used. It was closed, and he didn’t have a key. He had never had one. Whenever he arrived here, a butler would open the door to him. There was no butler now, and the door stayed firmly shut. He slipped quietly around the side of the house, keeping to the shadows. He came, through the walled kitchen garden, around to the back of the house and the scullery door. That was locked, too, but the sonic screwdriver could open it. The Heir of Lœngbærrow returned home through the servant’s entrance, in secret, creeping through the stone-flagged corridors that ran from the kitchen, past the food store and the butler’s room and up the short flight of steps that led into a carpeted passageway to the dining room. He was not meant to know these rooms at all. But as a child he had often found himself down there in the kitchen, where the cook and the kitchen servants actually thought a motherless boy, even one dressed in a velvet coat, was an object of sympathy. He came presently to the entrance hall, inside those locked and barred front doors. It was half dark. There was no electricity for the lights, and even if there was, he would be reluctant to use it. Even so, he saw at once that things were missing. The great round rug with the symbol of the Lœngbærrow silvertrees arching over a Liver Bird was missing from the floor. And there was a gap on the wall where a portrait of his mother had been since before he could remember. He went into his father’s study. There, too, were glaring omissions. The great painting of his ancestor, Dracœfire was there. But the family portrait of himself and his mother and father when he was about four years old wasn’t. Nor was the picture of him as a student in the red and gold of the Prydonian Academy. The drawing room should have had the portrait his father always called ‘Madonna and Child’ despite nobody on this planet understanding the reference. It was his mother holding him on her knee when he was a very small child. That was gone, and so was the rug, a smaller version of the one from the hall. All the pictures of either him, or his mother, were gone. He swallowed hard and tried to remember that there were more important reasons for him being there. But it shook him. He felt as if he was being erased, somehow. “Son of Rassilon!” A voice disturbed the silence and he turned to see a shadowy figure in black standing in the corner beside the drawing room door. He cursed his own stupidity for walking into a room blindly without checking it out. Some secret operative he was. Even so, his hand flew at once to the holster beneath his cloak, and the handgun Penne had insisted he carry, despite his protests. Pacifism, Penne had told him, was for peacetime. He had to forget such ideas now, and shoot first and straight, and without hesitation. “Calm yourself,” the stranger answered and it registered with Chrístõ that he had the accent of an educated Gallifreyan of the Southern Continent, just as he had when he spoke his native tongue. Even so, he was taking no chances. He demanded to know who the stranger was once again. “I am a Time Lord, as you are,” he replied. “Jai guru deva, om,” the stranger said next, apparently without connection to anything. The stranger stepped forward now, as Chrístõ lowered his weapon. He was dressed in a simple black robe that would give him some chance of concealment in the shadows. He was dark haired with just a hint of grey in the temples, and had an apparent age of about forty-five, though that meant nothing to his species. He was a stranger to his eyes, but he had a feeling, nonetheless, that he ought to know him. Chrístõ moved closer. The stranger held out what he recognised as a time ring. He reached out and touched it and felt the tug in the pit of his stomach as the ring’s field enveloped him. It wasn’t as disorientating as a transmat, but it was nauseating all the same and he was still recovering from the effect when he found himself grabbed about the neck and kissed on the cheek. “It’s… good to see you,” he answered. Her reaction to his arrival was welcome, but rather overwhelming. He disentangled himself from her embrace, though he allowed her to carry on holding one hand. He looked around at a circular room with a bank of computers and monitors at one end and the rest of the floor taken up by a large sofa and a selection of mis-matched chairs. They were occupied by people Chrístõ knew, and who were all eagerly watching him. He recognised one of them as Hext’s father. The rest were senior Time Lords from some of the high caste families. But his father was not among them. That much he noted with a sudden feeling of dread. Chrístõ sat on a chair that was set for him by one of the other Lords. He was grateful to do so. His legs felt strangely heavy, as if he had already done a day’s hard toil. He watched Valena go into a side room that seemed to be a small kitchen. He glimpsed other women there, and noted that they were all high caste. How the great Houses of Gallifrey were brought down! A child darted through the door. Valena called to him but he didn’t take notice of her. He made a bee line for Chrístõ, who cried out as he recognised his half-brother, Garrick. He was older now. Three, or four? He was uncertain how much time had passed on Gallifrey. He knew it was less than elsewhere in the universe, but it must have been a year at least. The boy reached out child’s arms to him and Chrístõ grasped him, choking back tears. Garrick was his father’s child as much as he was, and he was glad of it. He felt his half-brother’s DNA as a source of strength. Garrick snuggled close to his chest and put a thumb in his mouth. Chrístõ gently pulled it away. “Don’t do that, child,” he whispered. “It’s a sign of weakness. And we all of us have to be strong, now.” He held onto Garrick as Valena returned and gave him a mug of what proved to be Cúl nut latte. ‘Real’ coffee used to be imported to Gallifrey as a luxury that the Oldbloods in their great houses indulged. But now they were drinking the processed nut beverages like everyone else. “What news,” Hext senior repeated when Chrístõ seemed as if he was ready. “How many?” asked a man who Chrístõ still could not place exactly. “The Mallus, perhaps?” Chrístõ was not the only one who was stunned when Paracell Hext stepped forward and grasped the wrist of the man who had taken the time ring. He seemed to appear out of thin air. A perception filter, of course. Chrístõ saw the medallion dangling from his wrist as he swung the Time Lord around and pushed him to the floor. He pulled his arms behind his back painfully and in a quick movement had him manacled with polycarbide cuffs. He wasn’t gentle about it. His knee pressed against the spine of his captive as he completed his subjugation. Chrístõ wasn’t sure where the prisoner was taken, but Paracell Hext returned presently, looking grim. Nobody took any pleasure in learning that there was yet another traitor among them. “The son is a prisoner already?” Hext senior asked. Chrístõ told the story of how he had captured the traitor and handed him over to Penne’s security detail on board the Ruby of Ambrado. “He’s the second Gallifreyan in Adano-Ambradan custody,” he added and briefly outlined the sad story of Savang Hadandrox. At mention of her name, one Time Lord gasped out loud and at the kitchen door a woman gave a cry. The Time Lord stood and held out an arm and she ran to him. “What more?” Hext senior was the one who asked the question. His son came to his side as they all sat once more. Around him the Time Lords were silent. The scale of what Chrístõ had told them stunned them all. Gallifrey had for so long stood aloof from the universe, apart from other races. But now, so many of those races were prepared to come to their aid. “Rassilon’s blessing on those who come to fight for our freedom,” Valena murmured and Lady Hadandrox repeated the words. The men nodded their agreement. It was the closest Gallifreyans came to a prayer, but it was heartsfelt. “How do you know?” Chrístõ asked. “That’s… what we’ve all come to think,” Hext senior told him. Chrístõ breathed in deeply and blinked back tears. He was in the presence of men and women who had all suffered deeply for over a year. He was in the presence of high caste Time Lords. He could not cry. He would not cry. Not before them. He would not let his father down by showing such weakness. “Chrístõ…” Valena came to him. She knelt before him formally. Chrístõ knew what it meant. 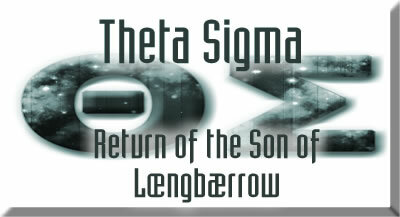 If his father was dead, then he was Patriarch of the House of Lœngbærrow now. He was responsible for the welfare of his stepmother and half-brother. They were dependent on him for the very food they ate, the clothes they wore. They had nothing to call their own unless he gave it to them. A long time ago now, when he had felt bitter about his father’s marriage to Valena, when he had learnt that his father’s second wife was going to have a child of her own, he had spoken some words that he had later felt thoroughly ashamed of. Those words came to mind now, as Valena knelt before him in formal entreaty for her life and that of her son. Garrick still nestled on his lap. He missed his father, and knew instinctively that his half-brother was his closest kin in his absence. “It is my duty to you,” he answered. He didn’t know what else to say. “Yes,” Chrístõ agreed. He was tired. The journey had been long. The last twenty hours, aboard The Traitor’s primitive ship had been uncomfortable. Yes, to lay his head down in a quiet place for a while would be pleasant. Garrick wanted to stay with him. Even his mother could not persuade him to let go of his half-brother’s hand. She stopped at a white door and opened it. Chrístõ stepped in. The room had one big bed and a couch in it, a few cupboards, and a window that sunlight came through now that it was morning properly. What struck him first about the room was that, small as it was, it was covered in paintings – the family paintings that were missing from his home. “Oh.” Chrístõ sat on the bed which his father and Valena had obviously shared, perhaps with Garrick between them, protecting him through the night. Garrick climbed up beside him. He put his arm around the boy and, now, in private, he cried softly. Valena stood by the window and watched him quietly. “He’ll never be gone as long as we hold him in our hearts,” Chrístõ answered. He kicked off his shoes and jacket and laid himself down on the bed. Garrick snuggled beside him. Valena watched for a while and then quietly left the room. On board the Ruby of Adano, the King-Emperor of Adano-Ambrado put a sub-space call through to his wife. He smiled warmly at her. She tried to appear happy. “We’re about to make the last hyperspace jump that will bring us out in the Kasterborus Sector,” he said. “We still have at least seventy hours before we reach the outer marker of the Gallifreyan system, but once we reach the Sector we must consider ourselves at war. We may engage the enemy almost immediately. There will be no time for personal communications. I just wanted to say…” Penne swallowed hard. It wasn’t that he was scared, as such. What he was feeling was the huge burden of responsibility. Not only had he committed his own fleet to this campaign, thousands of men and women putting their lives on the line, but the ships, the armies of his allies, too. And worse. If they lost, then the Mallus would regard their homeworlds as fair game in the wider galactic war that he was about to engage in. He felt a little overwhelmed. But he didn’t dare show it, not even to his wife. He closed the communication. He knew that there had been many such messages sent by his officers and crew in the last half hour. Most, by necessity, had been recorded and sent in a burst transmission. His own live communication was a privilege of rank. But the reason was the same. All over the ship men and women had said goodbye to their loved ones before they prepared themselves for war. “Our cause is righteous,” he told himself. Chrístõ woke from a dreamless sleep. Garrick was still lying beside him, but he was awake, his deep brown eyes, so like his own, bright. Garrick blinked as if he understood, but he didn’t say anything. Not in words, anyway. Like most Gallifreyan children he was slow to talk in spoken words. He had only a stilted baby language still. But his mind was that of a Time Lord’s son. He was already developing the telepathic skills they all took for granted. Chrístõ put his hand on Garrick’s cheek and reached gently into his mind. He wasn’t as advanced as he ought to be, he noted. This year he should have begun his education, learning to read and write and calculate up to the level where he could begin receiving lessons full time from private tutors. Valena had done some of it herself, he thought. But she wasn’t trained in the brain-buffing techniques. He wasn’t quite up to the expected standard. He felt Garrick’s telepathic reply. He didn’t understand everything that was happening around him. He had been protected from it by the adults. And that was right and proper. His childhood innocence was short-lived enough. But he knew things were wrong. He knew that his father wasn’t there and his mother was anxious. He knew that all the adults around him were anxious. Four years old, and two of those years had been years of fear and anxiety. Another reason to hate the Mallus. He sat up on the bed and looked around at the paintings on the wall, crammed against each other. It was a strangely sentimental thing for his father to do, but he was glad he had done it. He looked at the pictures of his mother and felt comforted by them. “Pretty,” Garrick said in words as he stared at the same picture Chrístõ was focussing on. “Yes,” Chrístõ answered. “Yes, my mother was very pretty. Beautiful. Your mother is, too. But mine… she was lovely. Even when she was asleep.” He looked at the picture closely. It was one that had always puzzled him and nobody had ever fully explained. It was a watercolour picture of his mother, lying asleep on a long sofa, one hand outstretched to stroke the golden fur of what had to be a tame leonate. He knew that those thick-furred, beautiful cats roamed wild in parts of the Southern Gallifreyan plains, but he had never known one to be domesticated in that way. It seemed to be lying on the floor beside her like a pet dog would on Earth. They had never had a pet animal in their house. So he had never understood why his mother was painted with one. He always assumed it was creative imagination on the part of the artist. Anyway, it was a beautiful picture and he liked it. There was something about it, though, that made him look closer. Something he hadn’t realised before – because until this day he had never been in the room it was painted in. He stared at the background of the picture. Before he had only ever looked at his mother, and admired her relaxed loveliness as she slept. But now he looked at the wall behind the sofa, the painted window with a glimpse of Gallifreyan sky beyond. He looked at the window in the room he was in now. It was the same kind of window. The same as the room he had been teleported into, where the Time Lords gathered to hear his news. It couldn’t have been the same sofa that he sat on. It couldn’t have lasted that long. But it WAS the same room. “My mother has been here?” He stood, lifting Garrick into his arms and went to the window. He looked out. The room was very high up. The plain stretched away into the hazy distance, but directly below was a huge lake. The Calderon? That great lake was a difficult place to visit because, like the Dark Territory of the Northern Red Desert, there were strange ores around there that interfered with machinery. But he came once on a hiking trip with a few friends from the Academy and camped overnight by the lakeside. He knew it when he saw it. There was no tower by the Calderon. There were no buildings of any kind around there. The nearest village was at least twenty miles away, and that was just one of those isolated mining communities that were scattered about the Southern Continent. “How did you get here, Garrick?” he asked the boy. He felt Garrick’s answer. They had come in a car during the night. He and his mother and father and one of their chauffeurs who helped carry the few belongings they had packed. His father and the chauffeur had pushed the car into the lake before they had all walked around the edge. It had been pitch dark, with only the starlight to guide them. And then, suddenly, in front of them, was the tower, with a light shining from a window high above, and a door opening at the bottom. They had gone inside. Garrick remembered lots of stairs, then being taken to bed in a strange room – this room they were in now, sleeping cuddled up with his parents, just as it had been ever since. He had not left the tower since. Nor had his mother. His father had come and gone, and so had other people. Some, like his father, had not come back. He bit his lip and swallowed hard. He had thought about asking his father. But he couldn’t do that. He couldn’t do that ever again. A thousand things he wanted to ask his father, that he wanted to say to him, crowded his mind and he felt the loss so very deeply he thought his hearts were going to burst. He turned and saw that strange man, Silis Bonnoenfant standing at the door. This was his tower. He had given his family and others sanctuary here. Penne was sitting quietly in his stateroom aboard the Adano-Ambrado flagship when his aide knocked peremptorily and came inside. The man bowed to him and passed him a message. “Excellent news,” he said with a smile. The message told him that the capsule Chrístõ had taken to Gallifrey had been intercepted and brought aboard. Its database contained the most detailed information yet about exactly where the Mallus defences were, and how strong they were. Chrístõ had sent it on autopilot through the Gallifreyan solar system picking up the data as it went, intercepting communications between the enemy ships and their strongholds on each of the planets of the system. And it was the very information they needed to begin scourging Gallifrey and its system of the Mallus invaders. On another early morning, with the sun just beginning to lighten the sky, Chrístõ and Hext stepped out of the Tower of Silis Bonnoenfant. They both looked back and marvelled as it disappeared before their eyes and then started to walk. They had a thirty mile hike to the rendezvous with a man who had a fast private shuttle with cloaking mode that would get them across the channel to the Northern Continent. From there, Hext knew the way into the Capitol, and he knew where his contacts were within the occupied city. “Maybe we’ll get that date at the Conservatory,” Hext joked as they set their faces towards the rising sun and began the first part of that journey into an uncertain future.